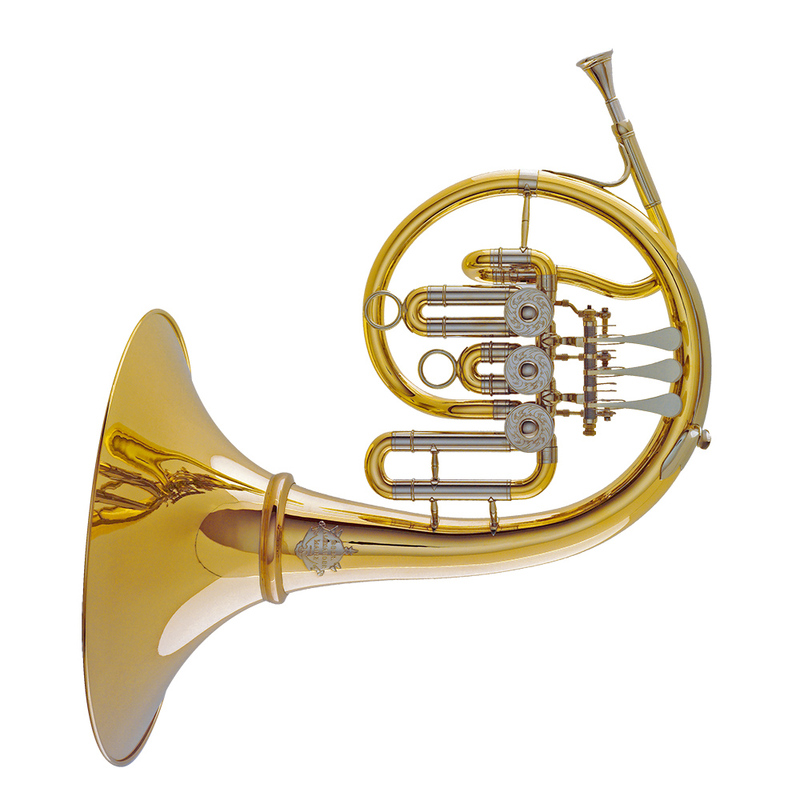 Every hornist who deals with Baroque music is confronted with challenges that cannot be ideally met with standard orchestral instruments, because the parts are written very high and the desired tone is not the mellow romantic sound, but bright and lustrous – emphasizing the relationship to the Baroque hunting horn. For such special challenges Gebr. Alexander developed the descant horns Model 99 in high Bb, Model 105 in high F and Model 105 in high G with F extension. These instruments can be assembled with either 3 or 4 valves. They are made exclusively with a narrow bore.